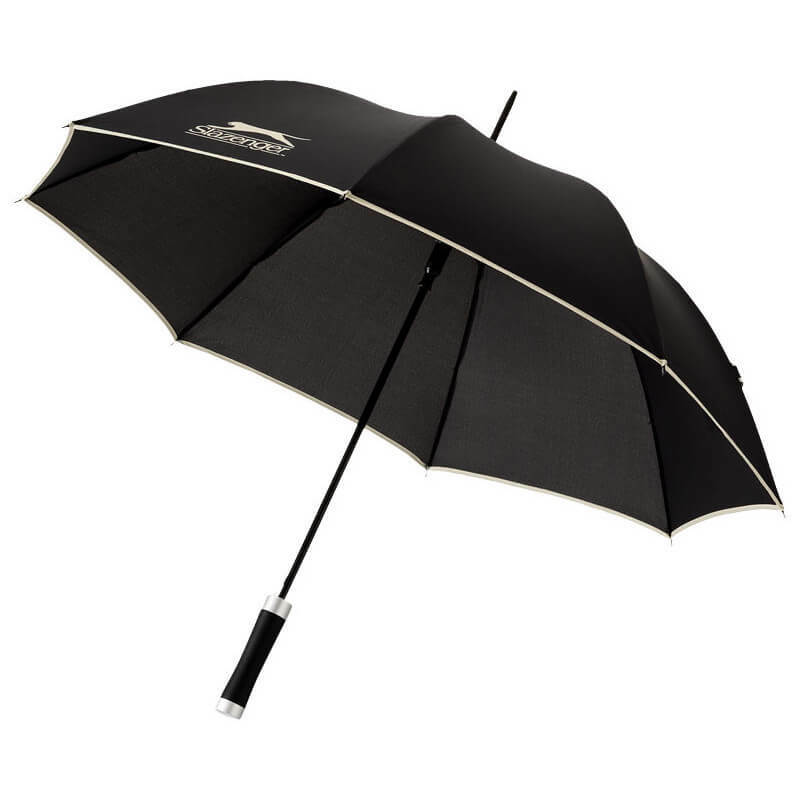 Chester 23" automatic umbrella. 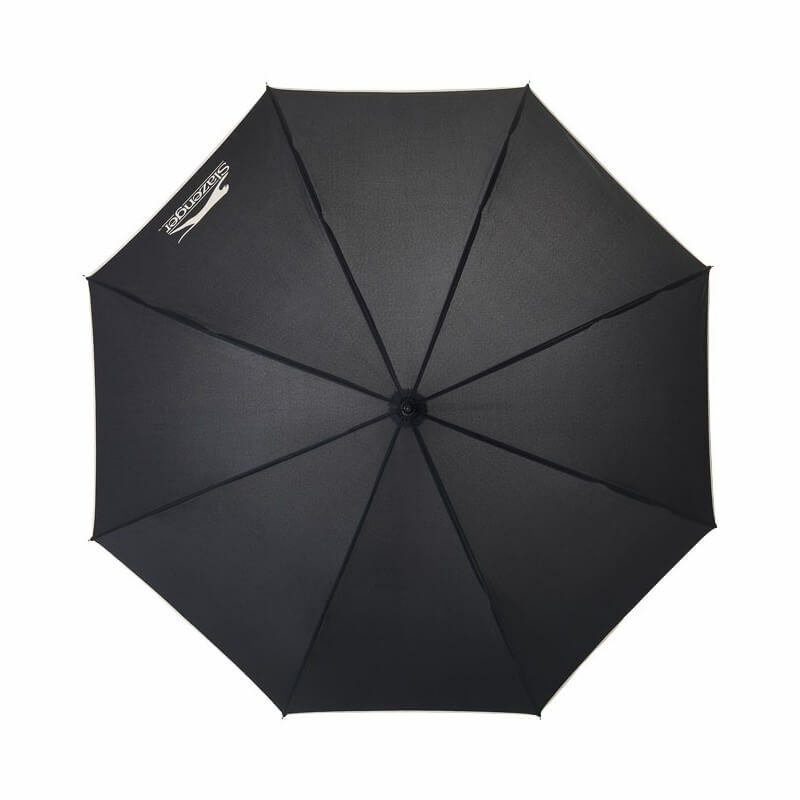 Exclusive design umbrella with contrasting color details on capony, handle and umbrella tie. 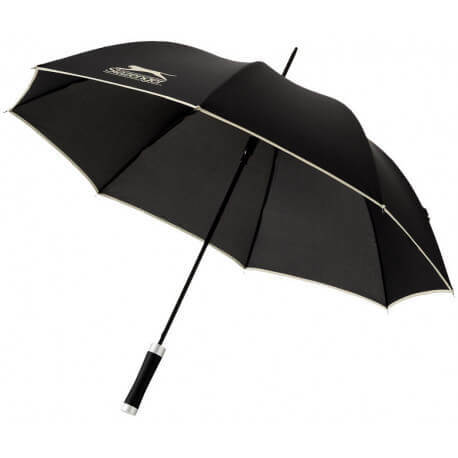 Metal shaft and ribs and black rubber coated handle. Polyester.